A recurrent debate is Guernsey focuses on the degree to which the island’s government looks after its weakest people. The emphasis varies: the level of poverty and inequality, the structure of the benefit system, worries over the balance between helping local people and providing overseas aid, and over-reliance on the large charity (‘Third’) sector. 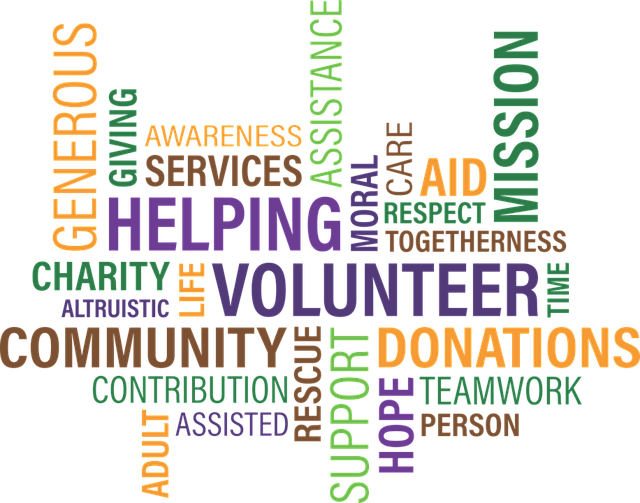 In recent years, following formation of the Guernsey Community Foundation in 2011, the focus has also been on the promotion of philanthropy, and this has undoubtedly raised government awareness of the importance of the charity sector. Many people think philanthropy is about meeting basic social needs, especially in cases where these are not met by the market or by the government. But philanthropy is more than this. It is about private initiatives – whether by individuals or associations of individuals – aimed at the public good. The best known examples involve innovations which transform society. But all the great reform movements – anti-slavery, women’s suffrage, civil rights, peace movements, the environment – began through voluntary actions by voluntary associations. Of course it is no surprise that philanthropy tends to focus on relatively rich people. They are the ones who can afford to take risks and try new ways of doing things. But we don’t respect rich people for their money, we respect them for the uses to which they put it. The particular case of Guernsey is illuminating in this respect, because the wealth of its residents has grown so rapidly since World War II, making it now one of the richer places on Earth. But the island is even more interesting because it created two distinct housing markets which quickly became distinguishable on the basis of their occupants’ wealth. The so-called Open Market comprised some 1,500 houses and was open to outsiders.. The remaining houses – which with new construction now number some 26,000 – were reserved principally for ‘locals’ and for certain skilled outsiders allowed in for a finite period under licence. As long as Guernsey remains determined not to change its low-tax arrangements and the world outside remains unpredictable, it is an attractive place for wealthy outsiders to live, and the Open Market is like a magnet to them. Identifiable by their houses, Open Market residents have over the years come to recognise their privileged position and many have become important donors to local charities. Thus, individuals like the late Florian Carr, an American with regular dividends from a large shareholding in the Pennysylvania Railroad Company, was able to give to the local National Trust the beautiful Regency house called Brockhurst on the Grange, St Peter Port’s best known street. She also helped countless persons unable to pursue their chosen careers through personal hardship. Few beneficiaries knew she was the benefactor, because she worked through a trusted intermediary. Another example was Geraldine Whittaker, whose splendid seven-figure donation to the St James Concert and Assembly Hall ensured that the nearby Dorey Centre could be built – giving the architectural treasure a further lease of life some twenty years after it was first rescued from desecration by the planners. Guernsey’s experience of giving has been corporate as well as personal. A remarkable instance in the first decade of this century saw the international banking group Credit Suisse contribute another seven-figure sum million towards the purchase of a CAT scanner for the hospital. Most corporate representative bodies – accountants, directors, bankers, fund administrators, trust companies, the Chamber of Commerce – hold black-tie annual dinners at which particular charities are favoured for donations of thousands of pounds. Individual companies organise and sponsor entertainment for their clients at which they do the same. In its short life the Community Foundation has itself has enjoyed a number of important large contributions from Open Market residents who want something practical to help. But the fact is that Guernsey’s ‘ordinary’ people are indisputably better off financially now than their parents and grandparents were before them, largely because of the rapid growth of the offshore finance sector and the spin-off benefits of its success. The upshot ought to be that we see the emergence of ‘new philanthropists’: individuals, often self-made, who have become unexpectedly wealthy through business and are prepared to give – not just their money, but also their time and their expertise. Guernsey’s strong tradition of community participation is important in this. This island of just 63,000 has more than 250 registered charities. A glance at the vast spectrum of sporting, cultural, community and religious groups who are part of the Association of Guernsey Charities is enough to see that gregariousness is a distinguishing feature of the Guernsey character. Even less visibly, there is an informal group of some two dozen people in the island who meet regularly to discuss specific instances of hardship and, after chipping in their cash contributions, offer small practical assistance without seeking any publicity. Known as The Purchasers, they have been operating for decades, sometimes pursuing causes they identify themselves, sometimes working through parish officials or confidential advisory services. The mantra: ‘A little means a lot’. A more recently-established charity, Help A Guernsey Child, offers a similar ‘help in kind’. Such people should be encouraged to pursue voluntary acts of giving – recognising, as Martin Luther King once said, that however commendable philanthropy is, it should not cause the philanthropist to overlook the circumstances of economic injustice which make it necessary. Giving in Guernsey, in short, is not confined to the rich helping the poor. Rather it often represents the benevolence of ordinary people who can identify and fulfil civic needs not met by the government. The salvaging of St James in the early 1980s was just such a case. One way of promoting such activity might be through more formal channels of advice. For all the tradition of giving in Guernsey, there is a surprising shortage of such advice, especially on how to ensure the impact of a donation is maximised. Just as important, charities which seek funds often need advice themselves about how to raise them. Many forget that the final choice always resides with the giver, and that what they are entering is a partnership, not a transaction, hopefully for the longer-term. There are some complaints about the level of cooperation which takes place between the government and the charity sector – that it is not close enough or sufficiently productive, despite formation of a ‘Social Compact’ in 2014. Additional encouragement might come through a friendly tax regime. Currently, individuals (but not companies) making a donation to a charity of between £500 and £5,000 in any year will see their donation grossed up with a payment to the charity equivalent to the 20% which the individual paid as income tax. This means if you make a donation of £1,000, the charity will actually see £1,250. But the regime has not changed since it was introduced some eight years ago – for some, an opportunity missed. On the other hand individuals receive no deduction of their own income tax on donations they make, as in the US. We should not be surprised, therefore, that giving is more common in the US. No matter: it is the inclination of individuals towards civic responsibility which matters.